This post was sponsored by Hamilton Beach. Looking for a yummy recipe to serve on the big game day? 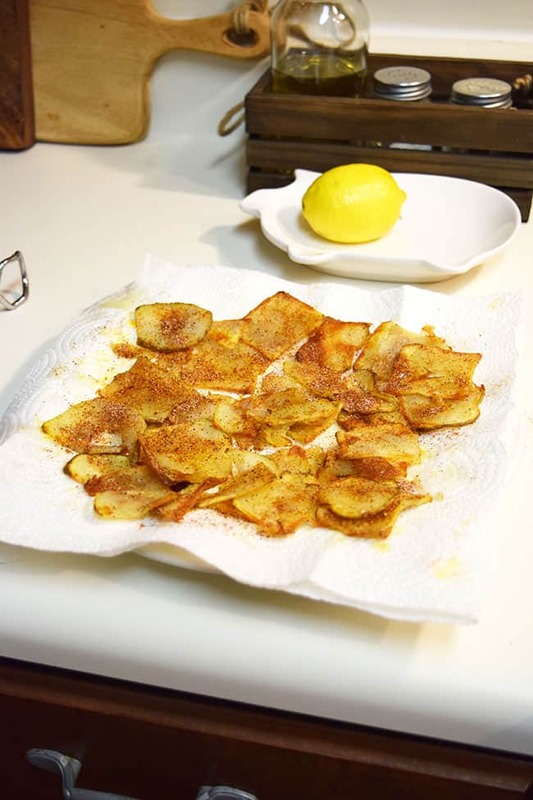 These homemade bbq chips are delicious and can be made baked or fried. In this recipe though I will give you the directions to make them baked. This would also be great for a fun family picnic outing as well. 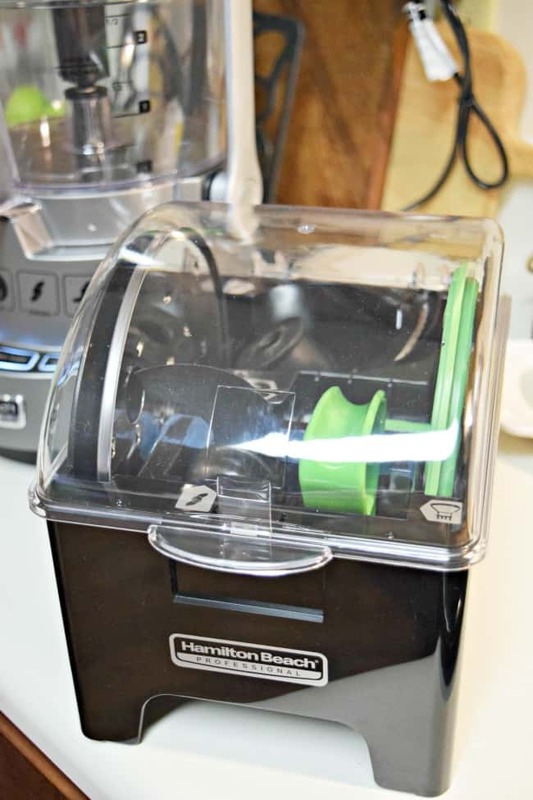 Using your Hamilton Beach Professional 14 Cup Dicing Food Processor with the slicing attachment chop up your russet potato. I set mine on the #6 for thinness. 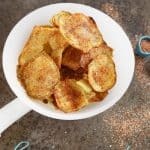 Place your sliced potatoes on a parchment paper lined baking sheet, drizzle with a little olive oil and cook in the oven for approximately 20 – 30 minutes, flipping halfway through. While the chips are cooking mix together in a small bowl the chili powder, paprika, onion powder, garlic powder, brown sugar and salt. 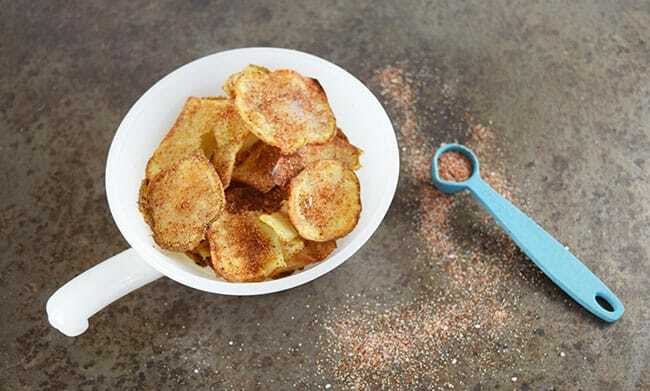 Once chips are crispy take them out and place them on a paper-towel-lined plate or baking sheet, sprinkle and toss with the BBQ seasoning. You can now eat them warm or serve them later at room temperature. 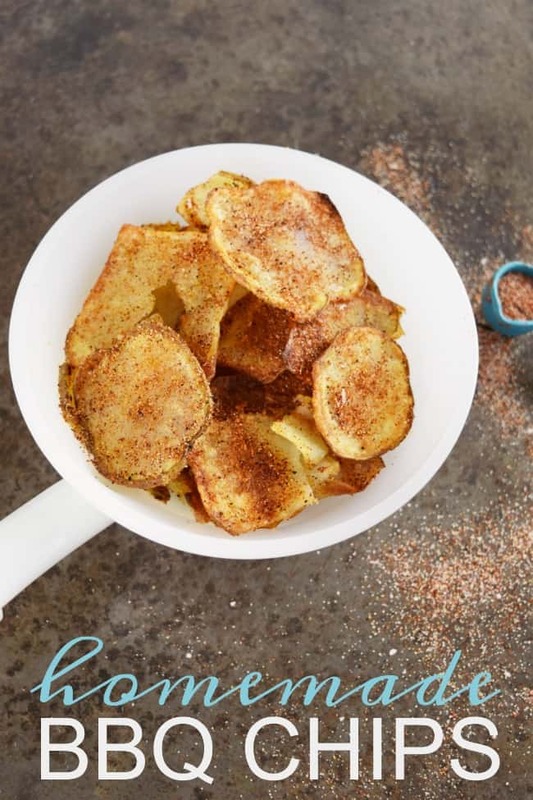 NOTE: This seasoning recipe is enough for 1 and a 1/2 potatoes. I would recommend doing one potato per person and doubling the seasoning for every 2-3 potatoes used. The seasoning doubled would be enough for 3 good size potatoes. 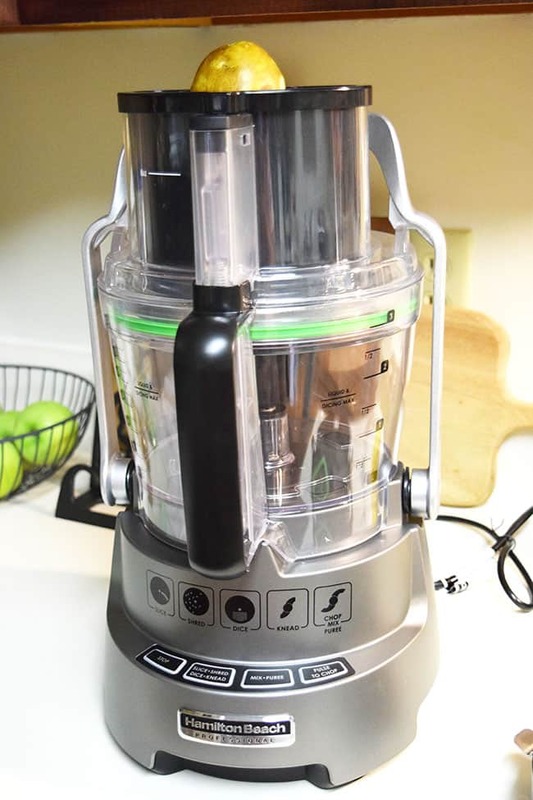 Have you seen the new Hamilton Beach Professional Food Processor? I’m in love with this thing. It can do some many different things and with these cold days I have been putting it to good use with some yummy soup recipes. The Hamilton Beach® Professional 14 Cup Dicing Food Processor is a commercial quality kitchen appliance. It literally includes everything you will need to dice, slice, shred, knead, chop, mix or puree. With these homemade potato chips we put the slicing option to the test but you know what else you can make with the 14 different thickness blade, how about homemade pepperoni’s? If you love pizza night that would be lots of fun. There are so many things this appliance would be great for like salsa, salads, you name it. It also has a 3-in-1 Big Mouth™ feed tube, one of the largest on the market. Easily feed everything from slender carrots to whole fruits, without the need for pre-cutting. 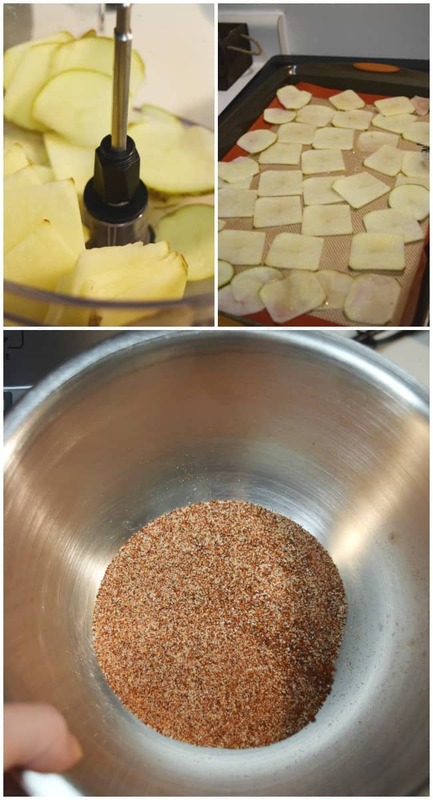 Using your Food Processor with the slicing attachment chop up your russet potato. I set mine on the #6 for thinness. Place your sliced potatoes on a parchment paper lined baking sheet, drizzle with a little olive oil and cook in the oven for approximately 20 - 30 minutes, flipping halfway through.